Ending up at the autobody shop when things werent your fault is already a major hassle. The only thing that makes this situation worse is having to go back to where you had your repairs done and have them correct mistakes, which is the situation I am in now. Three hours ago, I picked up my vehicle from OpenRoad Autobody after it was being repaired for damage from a hit-and-run claim. When I appeared to pick-up my car, they were ready to have me sign all the final paperwork and have my off on my way, but I insisted that I wanted a chance to inspect my vehicle first. Upon moving my vehicle into the sunlight and inspecting the paintwork closely, I noticed how badly detailed the area they repaired was. There were swirl marks and fine hair-line scratches ALL OVER. They offered to take 10 minutes to have someone re-polish the paint, which was fine. After I left the shop and had a chance to drive my vehicle longer, I noticed that my rear parking sensors were not reconnected properly, which is part of the area where my repair work was done. My sensors currently do not function and I have to go back to the shop to have them correct their work. I am a fair person and I understand that mistakes can happen. 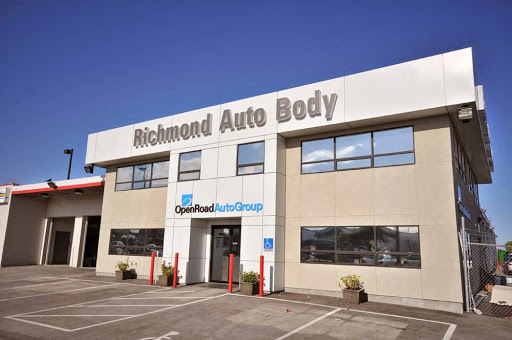 But the overall impression I get from OpenRoad Autobody is that they operate like a turnstyle - pushing their work out as quickly as possible. I desire efficiency and like anyone, I would want my car back as soon as possible - but not if that means that poor work is being done. I find it irresponsible that proper QA or inspection was ignored before returning my vehicle to me. I dont think anyone can argue that they should have checked their work having a customer come down to pick-up their vehicle after a large repair. Its not easy to re-arrange ones work and life schedule to make numerous trips back and forth to the autobody, as Im sure most people can relate to. Take one step into OpenRoad Autobody or try to speak to someone and you will quickly get a sense of how busy and overwhelmed they get. But as Ive learnt, thats not a sign of quality work; it only increases the chance that theyll rush through the process or not focus as much on the overall customer experience (re: from the interaction from getting an initial quote to picking up my vehicle and understanding what work was done to it). After I get the final mistake they made corrected, I wont be returning. I will be bringing my car back to Burrard Autostrasse or Pender Autobody next time. Absolutely NOT worth taking your beloved vehicles to these slimy guys here, dont be misled by their "open road" plaque on the front door. These guys will not only do a hack job on your vehicle but will steal from your vehicle. Most of all, they will go above and beyond the necessary repair and mess around with your vehicle and "fix" it so they can keep the repair job for later . After my vehicle was brought in, several key items were missing including the factory sealed wheel keys that wasnt supposed to be opened (my vehicle is 3months off the lot and went in for a simple bumper job). Kind of makes you wonder why they would need the key for a bumper job? Anywho, manager denied absolutely everything and stating that the styrofoam tray which the item were housed in was never even removed from the vehicle... (I got pictures that says otherwise) and when I confronted him, I was suddenly threatens to be escorted off the lot by cops hmmm.... I guess they said that it was off of another vehicle... With my brochure sitting on top of the tray... Funny right? For all of you who live in Richmond or in the surrounding area, I give these guys an absolute 0 on their service and trustworthiness! DO NOT and I repeat...! DO NOT TAKE YOUR VEHICLES TO THESE GUYS. Now I am waiting to see what "goes wrong" to my brand new vehicle... I rather take my vehicle to a mom and pop shop than these guys to be honest now, after this fiasco. I brought my car to repair in this shop. It was an ICBC claim. First, this shop did an assessment of my claim on April 24 2017. My wife and I were advised that the cost of repair will cost approximate around $1500 plus tax and I have to pay $500 deductible. They told me to bring my car on May 1 2017 and it will take four days to get it repaired because they need to order some parts. I phoned them on Thursday (May 4 2017) to pick my car but I was told that it will not be ready until Monday May 8 2017. On Monday May 8 2017, they phoned my wife around 5pm and tell us to pick up the car. I went to the shop and pick up my car. I saw my bill and it was $3198.88. I asked the Asian lady who was helping me… Why my bill cost over $3000? I told her that the technician who did the assessment for me and told me that it will cost only $1500 something and plus tax and I only have to pay $500 deductible. The Asian lady, asked me: “Does it really matter to you?” I told her. “No, I am only paying $500 deductible, but it is not fair for ICBC.” I refused to sign the documents. She went inside and brought out a technician. He told me exactly the same. “Does it really matter to you and ICBC approved the claim”. I told him that I will inform ICBC. He told me “ Go ahead”. If you want to get your car fixed very quick than this is the place, but quality lacks big time. I had my 2015 Audi SQ5 fixed there, and they did a poor job where paint was already chipped when they were putting the back bumper back on, missing clips, and rear tow trailer cover was still damaged. They did fix everything but few months after, I noticed that they used double sided tape (at this point I didnt want to drive there and have it sit another day or two) for the tow hook cover and my rear exh valve was not closing all the way cuz body shop did a poor job of repairing the exh (was fixed by Audi dealer under warranty after). One year after, my back up cam/sensor stop working and guess what!! The shop didnt even bother to repair the damaged back up sensor wires that was mangled at the time of the accident so the exposed wires corroded after a year. Only good thing I want to say is that the person I was dealing with was very friendly and did a real good job of matching the paint color but I would never go back!